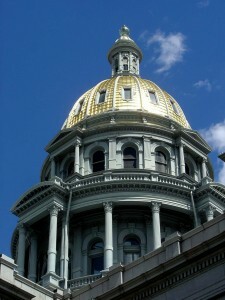 Colorado Peak Politics | BLIND ITEM: Geitner Accuses Democratic Legislator of Illegal Threats – But Who? BLIND ITEM: Geitner Accuses Democratic Legislator of Illegal Threats – But Who? We know exactly who this legislator is and we’re happy to give you a few hints. First, she’s a she. She’s not from the Denver metro area, but she’s a darling of the business community because she has them convinced that she is a possible swing vote in the crazy mess that is the Colorado State House. Only time will tell. We don’t think she is. Democrats gonna Democrat, but we hear her temper is chile pepper hot. She may be new to the scene, but someone should probably remind her that vote trading is illegal in the Colorado legislature.